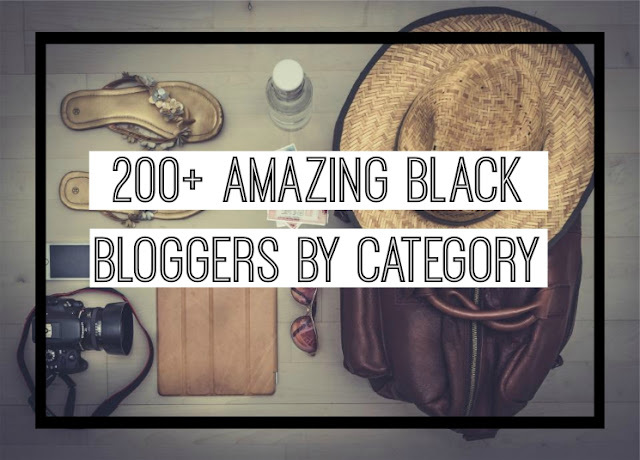 Quirky, Brown Love has bestowed upon me the greatest honor of being included on her list of 200+ AMAZING Black Bloggers. I'm extremely humbled and honored to be listed amongst my peers and many other bloggers who I admire and have yet heard of. It's really awesome the strides we are making within the Black Bloggers community and how a lot of us are sectioning off our own parts and really making our blogs into our own. I fully expect a lot of the bloggers you see on this list to elevate to a different level once blogging becomes a fad, expect to see us on the forefront because we put in the work early and often. I really appreciate the strides that Quirky, Brown Love & Victoria from The Budget Divaa are making in terms of getting us together in one place and keeping the love between us going. We are like a little family and we are helping each other grow and become better. So if you're just a fan of my blog or blogs in general I implore you to check out 200+ AMAZING Black Bloggers for many different areas and aspects that are covered, I promise you won't be disappointed! Also check out Quirky, Brown Love's site and all of her other social media networks below!